After choosing your grad cap theme inspo and sketching out your final design (See Part 1 and Part 2 in our Grad Cap Crafting Series) you’re now ready for our four favorite words of all-time – It’s Time To Shop! The true adventure is upon you…conquering the craft store! We all know how intimidating aisle after aisle of amazing glittery, goodness can be. Hobby Lobby -We love that nearly the entire store is on sale somehow. Michael’s – A classic option. Sign up for their emails first, we get 50% off coupons daily. Jo-Ann’s – Yes, fabric galore but also, so much more! Target – Because who doesn’t love the dollar section?! Actually, who doesn’t love Target in general? Walmart – Always affordable, even if a little overwhelming. Don’t overlook this option because they do have a great craft section. The Dollar Store/Dollartree/99 cents store – There are some hidden gems to be found! Maybe start here to see if anything catches your attention before heading on to other stores. Amazon – If you’re like us, you are addicted to Amazon Prime. We buy everything on Amazon and with Prime we don’t have to worry about forgetting something because shipping is free! 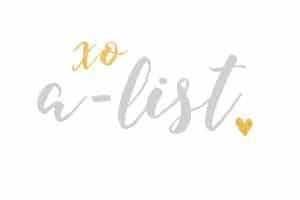 It’s not as easy as strolling the aisles but if you have a well-organized supplies list and you know what you want, chances are you can get it from Amazon and it’ll be at your doorstep before you know it. Papyrus and other high end stationers. These guys know how to design gorgeous paper that looks and feels luxurious. You’re graduating! You deserve to splurge on a fabulous grad cap! Your chapter house and/or chapter storage. It’s no secret sorority women love to craft and there is no shortage of crafting needs each sorority academic year. Ask your recruitment chair, sisterhood chairs and other members of your chapter to see if there are any supplies left over that you could use. Better yet, ask them to host a grad cap crafting party! What’s more fun than crafting with sisters. Plus, having the chapter budget pay for supplies (and snacks) for everyone is a huge bonus. Your dorm/apt or your room at your parent’s house. Chances are you’ve probably needed glitter, glue, paint brushes and other supplies for past projects. Don’t forget to check what you already have in stock! We have a love/hate relationship with craft store shopping because the sheer number of options leaves us feeling a little unsure of our choices. Don’t go shopping without a plan! Remember it’s easy to go crazy in craft stores, so we recommend you prepare a detailed shopping list of everything you need. To help you get started, we’ve made a sample shopping list of some common supplies we know you’ll need. Download your free Grad Cap Shopping List and Design Planner here. Once you have collected all of your supplies…Let the fun begin! It is time to start crafting away! 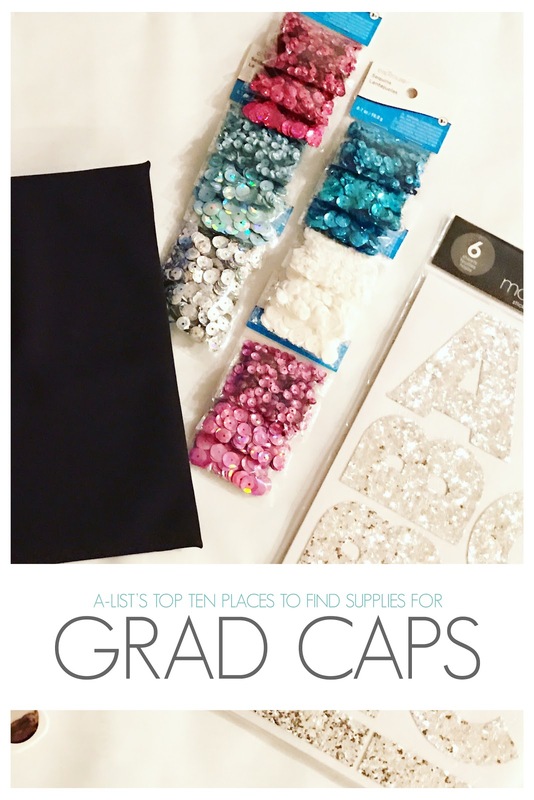 Look out for Part 4 in our grad cap crafting series – a comprehensive how-to guide! This entry was posted in Members Only: A blog for chics and Greeks alike. and tagged Graduation, Graduation Caps.